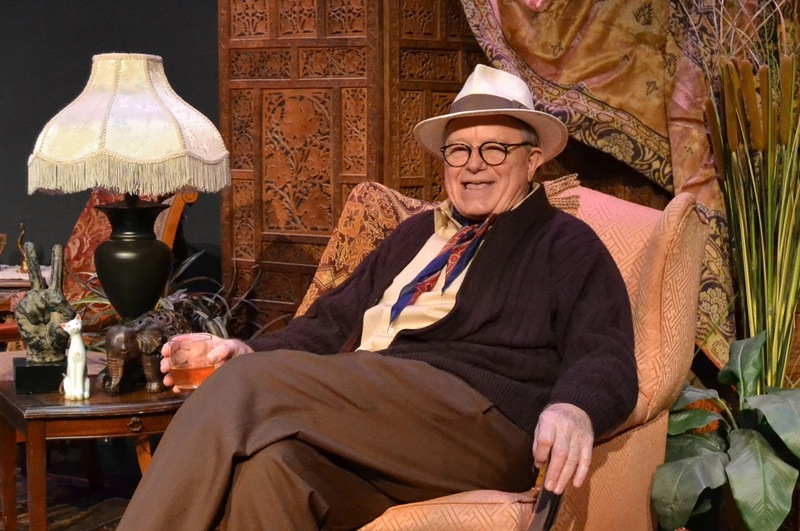 While he dishes the dirt with the audience, ‘Tru’ as Truman Capote was nicknamed as a youth, is inherently alone on stage. Alone. That’s the essential message from Jay Presson Allen's play, which takes place during one holiday season (circa 1975), a time when his expectation of joy is displaced by a sense of estrangement from many of his closest friends. The play examines the place of the artist in society, drawn from the very words and works of Truman Capote. Dramaworks’ lapidary craftsmanship and Ron Donohoe’s bravura performance make this a compelling production. 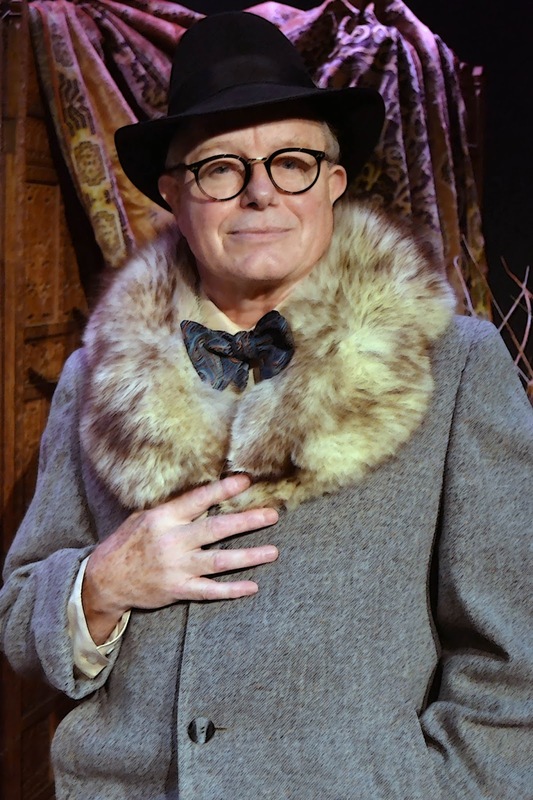 Capote is a flamboyant and proud homosexual, a person of acerbic wit with that lisp and unmistakable southern drawl, and that is part of the charm of this play. 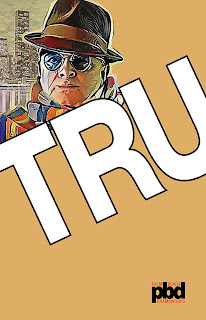 But Tru is also an author’s author, as a sensitive boy drawn to writing, later launching a career predominately as a writer of short stories. However, his two best remembered works are his novella of a writer coming of age in Breakfast at Tiffany’s (unlike the focus of the movie), and In Cold Blood, where he skillfully demonstrated his striking ability as a non-fiction journalist, written with the eye of a novelist. Rob Donohoe’s outstanding performance as an openly gay man is not an impersonation but a tribute. Donohoe is a Dramaworks veteran, having played a wide range of parts. Before Dramaworks’ Producing Artistic Director Bill Hayes finalized arrangements for producing Tru this season, he wanted a commitment from Donohoe to play the part. That was a year ago and Donohoe has since immersed himself in Capote’s work and life story, going to a voice coach to capture the high, nasal, southern accent of Capote and then modulating it for the stage. So it is with some bewilderment that Tru is facing the holidays, wondering what in the world did they think he was doing with them, other than entertaining them; after all he is a writer and to him Answered Prayers is the culmination of his life’s work. And as we learn, he has known EVEYONE in society. If they’ve ever been to Studio 54 they were under his scrutiny. He proudly states: “I am an artist. Artists belong to no class. And people like that who cozy up to artists do so at their own risk.” Nonetheless, this work becomes a path to self destruction, lubricated by alcohol and pills. One person plays are not everyone’s cup of tea, yet in many ways they are harder to produce than conventional plays and therefore more challenging to the small team of actor, director, and technical staff. Tru is skillfully directed by Lynnette Barkley, her third directorial stint at Dramaworks, and working closely with Paul Black, the scenic and lighting designer, they created other “characters” using the set --the bar, the Christmas tree, and the piano, points which relate to Capote’s life and help create movement and modulate the mood as Tru moves from his highs to lows. The set is gloriously breathtaking, capturing a sense of Capote’s UN Plaza apartment, with its books, framed black and white photos on the wall of Capote and friends, ubiquitous parquet floors and view of NYC. You are a visitor in Capote’s home and get to know the man and all the different layers of his life through his interaction with his environment. This is the magic of a one person play: you are in a one to one relationship with the character. This person is talking to you, even breaking the fourth wall at times, which can’t help but create a special sense of intimacy. Costume design is by Brian O'Keefe, and although only one person is on stage, he needed clothes that would enable him to perform the part believably, not to mention making him look shorter and heavier than Donohoe is himself. Sound design by Brad Pawlak captures voice overs from the answering machine, from Tru’s memory, and an interesting musical selection Allen’s play requires, concluding with the haunting lyrics of “Little Drummer Boy”. I played my drum for Him pa rum pum pum pum. Tru is a little gem of a theatre piece.